Are you thinking about your inbound marketing? The backbone of any successful inbound strategy is tactical lead nurturing, to encourage your prospects through the sales cycle. But have you thought about the best way to approach this to gain the maximum returns? Content marketing is an extremely powerful tool if the content is relevant and used effectively. But for content to be relevant to your target audience and support a nurture process, it must be based around your prospects needs and pain points. Timing is key in a nurture campaign. Individuals will go through a nurture process at different times – depending on the urgency of their needs, their position within the business and how they interact with your content and brand. To move individuals through the process and ultimately down the sales funnel you need to encourage them with the right content and help satisfy their buyer needs. * At the top of the funnel your content needs to be introducing the brand and providing your relevancy. Using content that answers top level questions and concerns. 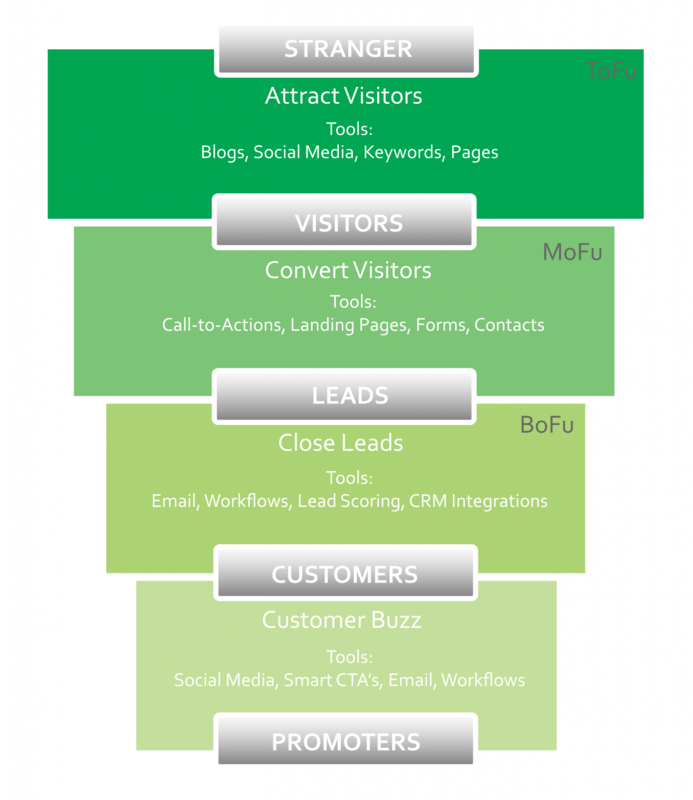 * In the middle of the funnel your content will need to be in greater depth and detail. By this stage the prospect is interested in the initial information and they are looking to find out more, make sure you are the right fit and explore what you have to offer. * Once you reach the bottom of the funnel your content needs to guide the prospect to what the best option is for them and convince them that the journey has been worth it, and you are the best provider for them. At this stage you may consider an offer or some form of encouragement to get them over the line. The beauty of many email platforms is that automation is a built-in feature – you just need to make it effective. Automation allows you to make email nurture do the hard work for you. You can plan out a whole journey and once the setup is complete, your prospect can merrily glide through, experiencing what is relevant to them. The automation can be as sophisticated or simple as you feel is necessary. But the real bonus is that once individuals start the journey, you begin to collate data about your prospects that will help you make informed decisions in the future. It’s the age old ‘chicken and egg’ scenario – marketing need sales to assist in chasing and closing leads AND sales need marketing to create the brand, credibility and demand in the first place. So it goes without saying that you need to make sure sales and marketing are aligned when carrying out inbound marketing. If sales are not aware of the effort going into filling the funnel, they won’t be ready for when the leads start coming through. Having a secure CRM system in place to help manage the lead marketing activity to inform the sales team of updates is also well worth the investment. Everyone wants to feel valued – whether you are looking to spend your own personal money or invest for your business. That feeling of being valued translates into nurturing because if we can see an individual is expressing the right signals in your business then we know they should be followed up with a call. Nurturing is a less invasive way of doing this. You may wish to call initially to qualify where they are in the sales funnel and establish if they are the right fit for your target audience. It is worth noting that there are only a few cases where they will engage to buy from you there and then. So, free up your sales team to actually convert those that are ready and instead send those that aren’t on the nurture journey for follow-ups that are informative, educational and encouraging. 5. Have you considered lead scoring? Lead scoring is an intelligent way to sort hot leads from those that seem unengaged. It allows you to assess the best nurture journey for an individual and un-stick them from the sales funnel. Many marketing platforms offer the ability (with the right know-how) to implement lead scoring, which will give you even more insight into your prospects. Are they engaging with the website, your emails, your social activity? If not, why not? Can they be invigorated, or do you need to approach them differently? This information then informs your targeted marketing approach to reach prospects likely of converting and nurture those less likely. Feeling inspired but don’t feel that you have the resources or expertise in-house to execute this? Get in touch with us today! We’d love to help you generate more inbound opportunities using our skills to help your business grow. Get in touch today on 01392 796702 or email contact@roots2market.co.uk.